Step aboard Silver Whisper and prepare for a 115-day World Cruise designed to inspire you with delight. For travellers who have the time, this truly special journey is sure to please, exploring 51 ports spread across six continents to discover the world's most astonishing and beautiful places. Discover lands of wonder or shrouded in mystery on this global circumnavigation. Places like Easter Island with its enigmatic Moai, haunting Petra, and isolated Pitcairn Island, home of theBounty mutineers. With numerous late-night and overnight calls, and even more connections to re-join the ship, you'll have ample time to explore a breathtaking succession of highlights including Ayer's Rock, Angkor Wat, the bejewelled temples of Burma and biblical treasures of the Holy Land. For a fitting finale, our World Odyssey ends in Venice, a proud reflection of our Italian heritage and the inspiration for our own Venetian Society, Silversea's loyalty club. Arguably the most romantic of temples built to express love and loss is the beautiful Taj Mahal. Let us jet you off in chartered comfort for just the day. Tour this amazing edifice of white marble and then join us for lunch. Refreshed, we jet back to the waiting Silver Whisper for a special welcome home. We embark our elegant water taxis in the early evening for a journey down the famed Grand Canal, our destination a Palazzo complete with all the trappings of history and regalia this city has to offer. 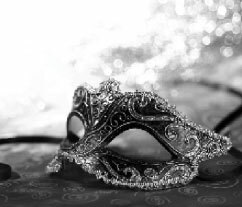 All we ask is that masks and elegant dress are mandatory – leave the rest to us, as we create an unforgettable evening as you approach the twilight of your world cruise. Sydney Harbour has arguably two of the world most iconic structures – the glistening sails of the opera house roof and the famed arch of the mighty bridge. A white glove lunch will be served with a local menu of casual Australian fare and accompanied by wines of the Hunter Valley. Replete with Aussie spirit, return to the Silver Whisper. Each passenger may select 8 benefit(s) from the list below. Please check with your travel agent, Jen Mitchell, for any restrictions that may apply to the third and fourth passengers in a cabin. This option is only available if selected and pre-registered by your Virtuoso Travel Advisor at least 46-days prior to the cruise sailing date. Onboard credit applied to your shipboard account. Restrictions Apply. Please see Terms and Conditions for Details of Restrictions. This option is only available if selected and pre-registered by your Virtuoso Travel Advisor at least 46-days prior to the cruise sailing date. May be applied by your Virtuoso travel advisor toward the purchase of private shore excursion created by a Virtuoso On Site or another Virtuoso preferred product in conjunction with this cruise.